Annually Black Friday rolls around as South African’s prepare to save money getting deals. Specials at stores such as Shoprite Checkers, Game, Makro and Pick n Pay with this year being no exception. Since 2013 this specific day at the end of November has offered shoppers discounted prices. At online shops as well as physical stores and supermarkets around the country. In fact it has proved to be such a successful day for businesses that many retailers will be advertising their products starting as early as the Wednesday before. Then extending through the weekend to end off on what has now become known as “Cyber Monday”. Although Black Friday is considered an unofficial shopping holiday in South Africa it is not an official Public Holiday. So it’s business as usual for companies and the banks are open. It’s also considered to be the beginning of the shopping season leading up to Christmas. Deals and specials can be found at Shoprite Checkers on this popular shopping holiday. So get out early on Black Friday to one of their over 200 stores nationwide. You will have first option on the products on offer at discounted costs. Although Checkers stores around South Africa regularly print flyers and brochures advertising specials… The exact Black Friday discounts won’t be known until prices are released on the day. Checkers is one of the country’s biggest supermarket chain stores to have embraced the spirit of this popular day of shopping. They offer low prices on consumables, household goods, tools, children’s toys, stationary and camping gear to name but a few items. Our advice, set your alarm to get up early to make sure you take full advantage of the deals happening on Black Friday. Get to Checkers and Checkers Hyper stores offering specials on products across the nation. Game specials are also available and last year they advertised a lot of the specials in the online catalogue. Laptop deals, discounted costs on televisions, household appliances and tools. Camping gear and baby accessories were among popular items available on Black Friday at Game stores nationwide last year. And no doubt these products will be available for affordable prices again this November. Shop doors open at 7am so it’s adviseable to get to a local store early. Because the most popular deals will be snapped up by shoppers that get in quickly, it’s first come first served..! 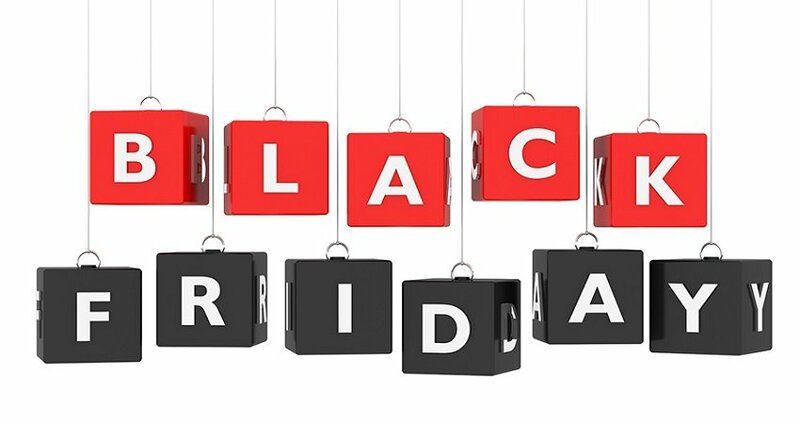 Despite the many items available at physical stores around South Africa on Black Friday there are also a lot of specials to be found at online stores. Among the most popular products for sale are digital and electronic goods. But it’s not all about technology and gadgets. All the main country’s retailers like Makro, Game, Checkers and Pick n Pay will be running deals across a wide range of products. Which means it is also a good day for buying items such as clothing, food and certain grocery goods. With all the specials available at shops around the country on this day in November there comes a bit of a darker side. Shoppers tend to get so caught up in the excitement of getting discount. They often push and pull people around, trample people if they fall in the rush. Generally they get nasty and selfish as they force themselves into getting the best deals. As you can see in the following video of customers going a bit crazy on Black Friday. At a Shoprite Checkers Supermarket in South Africa. In general South African store owners and customers alike have embraced this day annually. Whether it’s clothes, food, household appliances or technology gadgets, stores around SA will be embracing another Black Friday this November. Offering discount deals on popular items that make up part of the demand from our country’s bargain hunting shoppers.